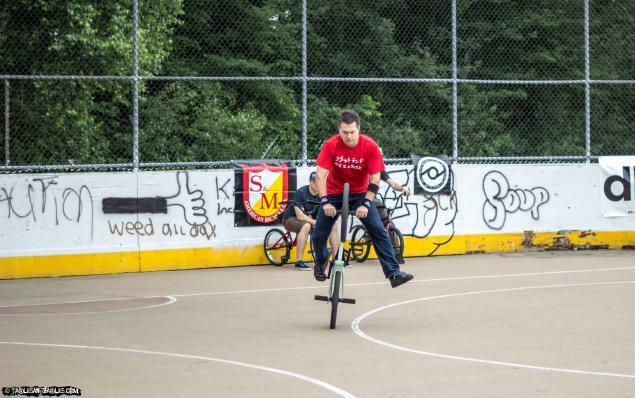 We already posted a lot of BMX Cologne coverage but that was not the only contest last weekend. The Flatland Fracas contest took place in East Bridgewater, MA, USA. Even a few Japanese found their way their and Masashi Itani won the expert class (there was no "pro" class). Congratulations! There is a good photo gallery on Flickr where we also found the photo of Todd that you can see here. Check it! Podium photos and more information have been posted on the official facebook page.